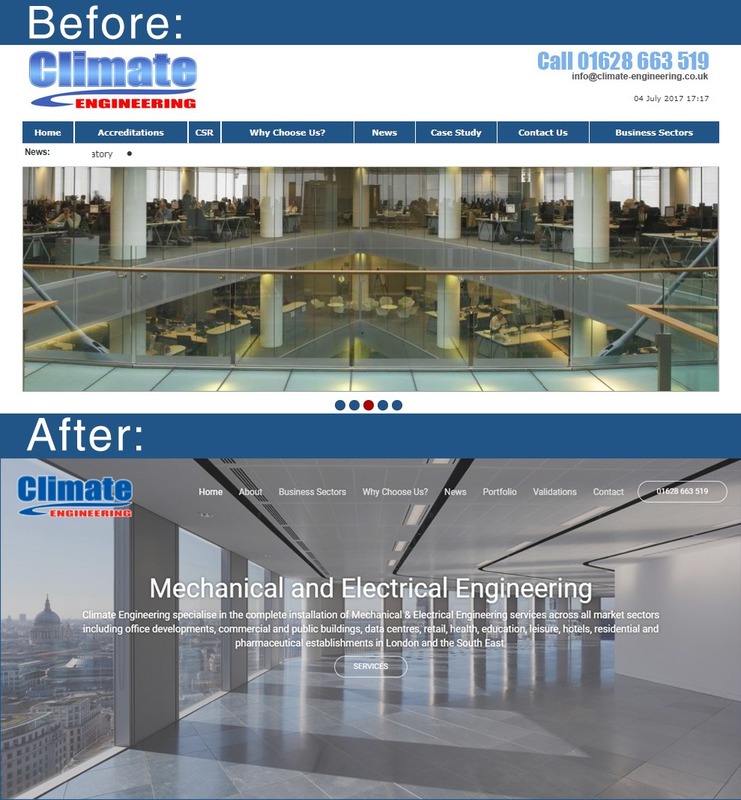 Kehorne recently finished a new website for Climate Engineering, a Slough based Building Engineering services and Mechanical and Electrical services company. A pleasure working with them on this site and bringing a new and exciting look to the website so that we can properly show off the great work that they do. We took the project from a new scope and designed a new and much simplified website with an easier to navigate menu structure. By cutting down on content and a confusing menu we have achieved a clearer journey for the user. The site was based on a more responsive website that would look as good on a mobile as a desktop. The main image had to fill the page and invite the user to enter into the site and explore the services the company offer. In the old site there were multiple menu structures which were removed. Several different page types were designed to ensure that the necessary functionality was available to Climate Engineering so they could add content to the site as the company progressed – such as a Blog section and company News section. I think the images speak for themselves but added to this the professional levels of service that Climate bring as well as a dedication to their work and a positive corporate social responsibility I look forward to working with them again in the future.